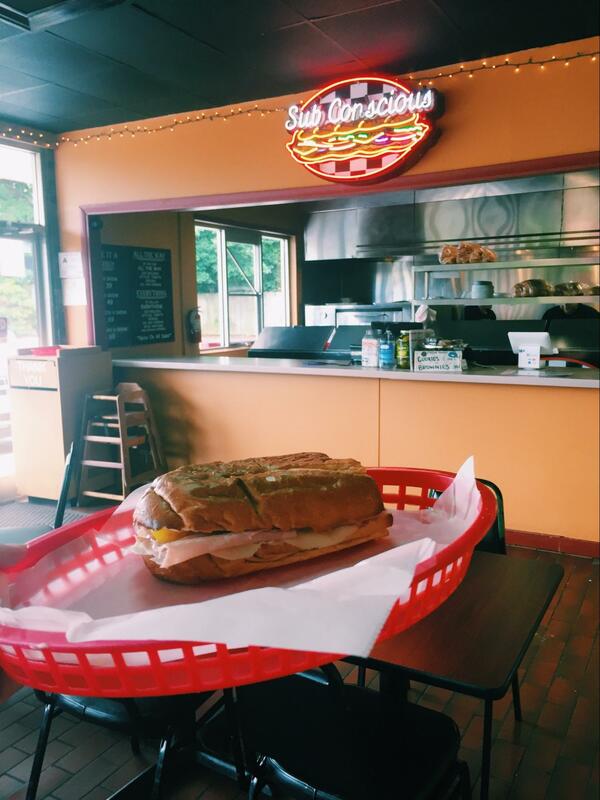 Sub Conscious Subs is a staple spot on Hillsborough Street that has been a favorite of NCSU students and Raleigh goers since 1984. A classic place, but now with an updated driveway that was under construction earlier this year, making it easy for both sides of the street to get there among the construction. 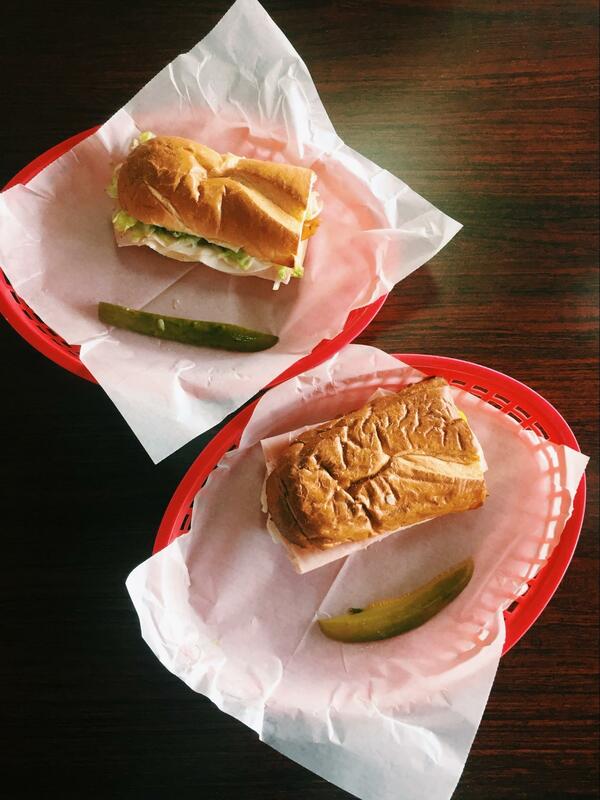 Now there is no excuse to not stop in and give this great sub shop a try. Trust me, your taste buds will thank me later. The atmosphere is very welcoming and laid back, as most family owned businesses are. I ordered the ham and cheese while my friend ordered the club. 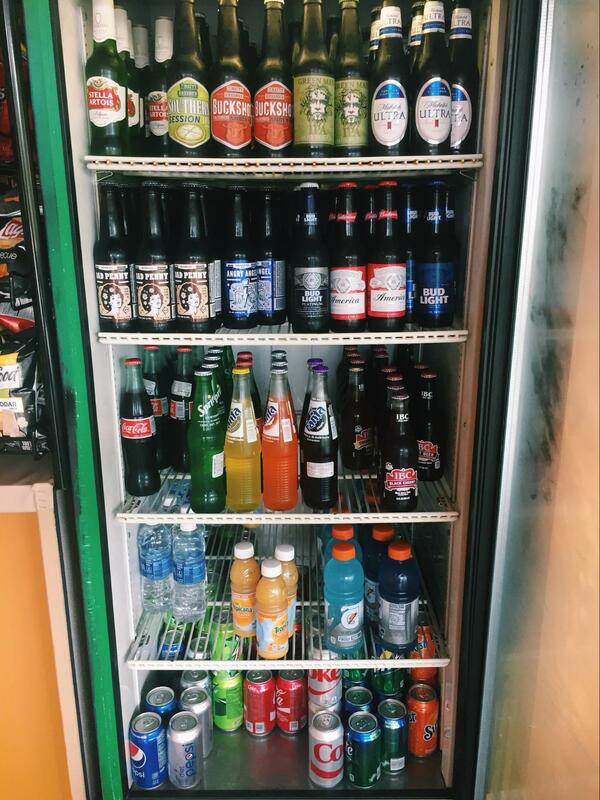 There is an array of chips to pick from, and a cooler stocked with options to please all, from beer to classic Coca-Cola bottles. We chose to sit inside even though there is an outside area with umbrellas to help keep the sun off, a great asset during the spring and summer months. My name was called and I received my sub after only a short wait. The bread was what made the dish. It was toasted to a perfect golden brown which complemented the cold ham and cheese. The oil and vinegar as well as the other toppings were paired perfectly with the combination and really enhanced the meal. Every sub is accompanied with a pickle spear, a personal favorite, concluding the perfect ending to my lunch. There were two workers and I talked to each about their experiences working with the company. Both enjoyed working there; one was even the owner’s son, Dennis. I asked which subs they recommended and they both said the famous Subconscious Sub and the Philly Cheesesteak. The menu ranges from subs to pizza, and even to wings and chicken tenders. There are tons of options that can please the whole family or give an individual endless choices. The prices are very reasonable and multiple combos are available. So stop in if you haven’t already and check out this hot lunch spot. The service is great, the food is delicious, and as they say, “Nobody Else Measure Up,” a phrase I think your stomach will agree on! 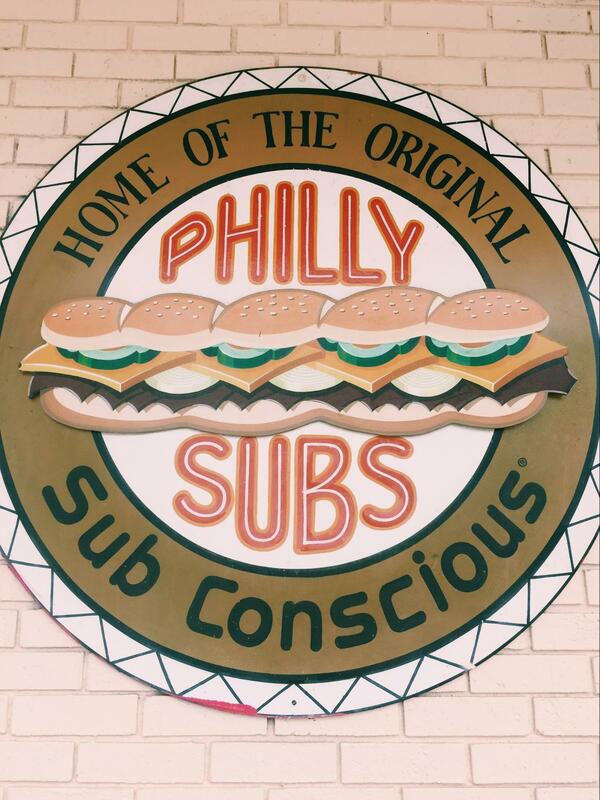 Subconscious Subs is located on 3209 Hillsborough St., and is open everyday from 11am-3pm.